Mixvibes’ Remixvideo offers a great way for musicians to add eye candy to their shows. 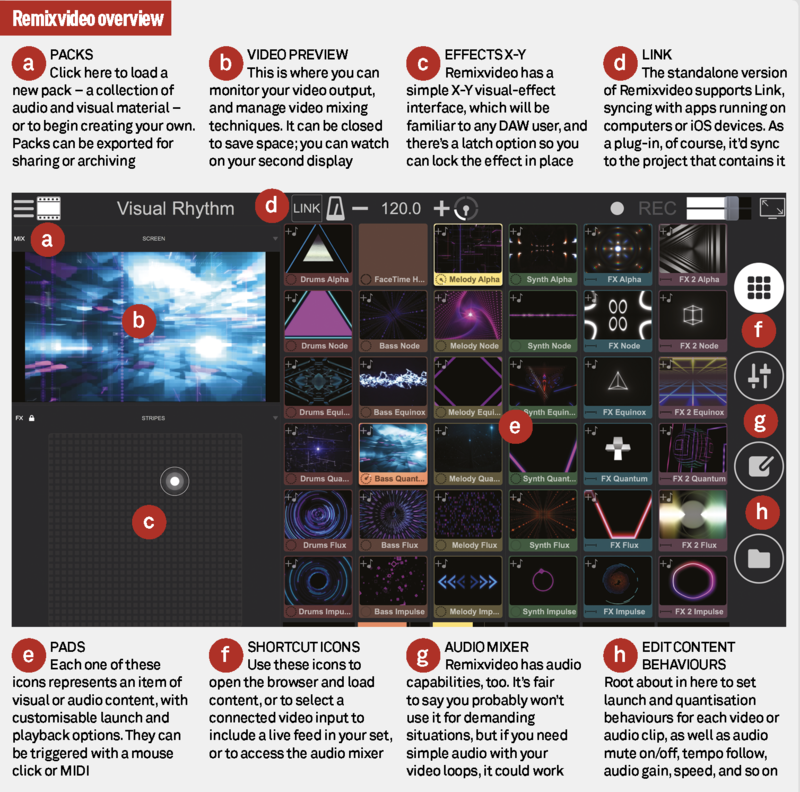 There are existing solutions for dedicated VJs, including Resolume, and Arkaos VJ – and both are well-established applications – but the challenge with such specialised VJ software is that it can be quite demanding, and if you’re running music software at the same time, things can get a bit high-maintenance. Remixvideo promises to be relatively easy to use, while still being sophisticated enough to give you the necessary levels of visual interest and interaction. Most excitingly, it can run as a plug-in with any DAW; this is amazing news for Ableton Live users, who typically have to resort to Max For Live devices to get functional video inside Live’s jamming-oriented Session View (Live works fine with video in the Arrangement View timeline). Installation is simple, with an unusual extra step of using a menu item inside Remixvideo to install the AU and VST plug-ins. I had some issues getting the plug-in to install, eventually going into the application package and dragging the AU and VST across. Eager though I was to try Remixvideo inside Live, I ran it standalone to get a distraction-free handle on the basics. I’ve played many VJ gigs using Arkaos VJ, and recently used Resolume, so I was interested to see how it compared. Remixvideo’s interface is fairly straightforward if you’ve worked with any kind of audio or video software. At the left, there’s a preview window for the currently active video content, and below that, an X-Y based visual-effect controller. The central area features a grid of up to 8×8 ‘pads’, where you gather and trigger content, which can be movies, generative effects, stills, or audio (or movies and audio together); or even a live feed from a camera. Above that are tempo controls, and an Ableton Link button, so Remixvideo can sync with other software on the same computer, such as Live, NI’s Traktor, or Korg’s Gadget, or over a network with computers and iOS devices. A selection of overly large buttons at the right access the mixer, pad-playback attributes, and file browsing. Pads are launched by clicking on them individually (one at a time per column), or in a horizontal row, by swiping left or right on any pad. Start and stop is quantised according to the specified bar and beat values; there’s a small rotary progress indicator on each icon, and a small audio-level display at the bottom of each column, and pads can play in Loop, One Shot, or Gate modes. Using a MIDI controller to launch these would be far more gratifying than mouse-clicks, and we can do it – back to that in a minute. Factory content is supplied, but naturally, you’ll want to substitute your own, navigating to it via the browser, or dragging straight onto the pads. There are 18 visual effects available, and video parameters such as hue and saturation be adjusted in real-time. Images can be scaled and repositioned on the screen, and video/chroma keying can make specified colours transparent, forl ayered effects. If you need more sophisticated video-processing options, it’s not a closed system – you can use Syphon, a Mac software solution enabling streaming of video between different applications – to send video output from Remixvideo to MadMapper, for example. Remixvideo can host an entire AV performance, mixing audio as well, with basic loop edits, filters, gain controls, and EQ. 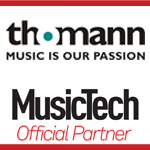 It does a reasonable job of time-stretching imported loops, but you’d be better off using dedicated music software. 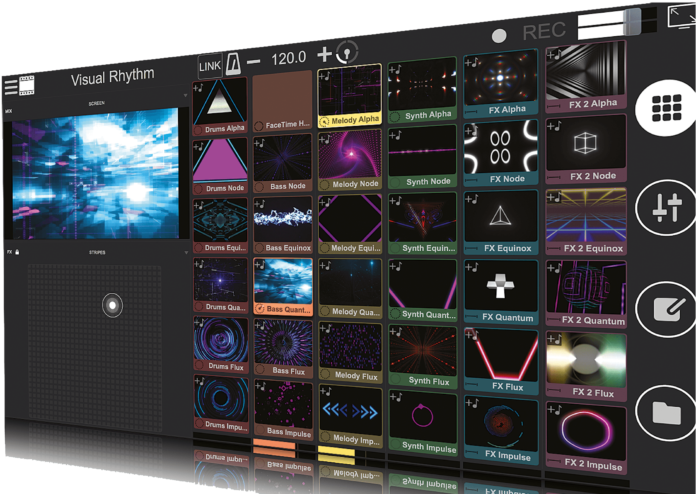 Crucially for musicians, Remixvideo speaks MIDI. Notes and CCs from your software or hardware can be used to trigger pads or to edit parameters. A MIDI Learn mode allows fast assignment for any controller and there are baked-in templates for popular controllers such as the APC40 and Launchpad. Performances can be recorded to disk, creating a ‘music video’ in real time – if controlling Remixvideo via MIDI while you’re busy playing seems like trouble, engage Autopilot mode; it’ll run in the background while you do your music. I quit the standalone version, and opened Ableton Live. The Remixvideo plug-in appears in Live’s Browser, like any third-party audio instrument or effect, and simply needs to be dragged to a MIDI track. The interface is mostly the same as the standalone, although naturally, it doesn’t need a Link button anymore. Live handles QuickTime movies in Arrangement View, but there’s little video action in Session View, unless you add Max For Live, and even then, you’re restricted in what’s do-able. Remixvideo lets you add movies, stills, and live feeds, and jam with them just like other Session View audio and MIDI content – it’s great. Pads can still be triggered in real time, or sequenced from MIDI clips, with CCs automating effect parameters, and all can be recorded into the Arrangement View, and edited. If you’re using MIDI clips and envelopes, you can play your normal Live set and be confident Remixvideo is outputting to your projector. Remixvideo is an effective standalone VJ solution, but is most interesting used as a plug-in inside Ableton Live. If you’re a musician who wants video for a live show, but needs it more interactive than simple linear playback, it’s your new best option. Ableton Live 9 Suite users can employ a range of visual-effect devices, often free of charge, mostly relying on visuals generated within the device, or webcam processing, rather than importing prepared QuickTime movies. It depends on how you like to work. Generative-type visual effects are lower maintenance, if you just want something to look at without shooting your own content. Many serious VJs use Resolume, and it’s great. It has a steeper learning curve than Remixvideo, which is the trade-off for increased sophistication, and doesn’t have Remixvideo’s nifty plug-in functionality. 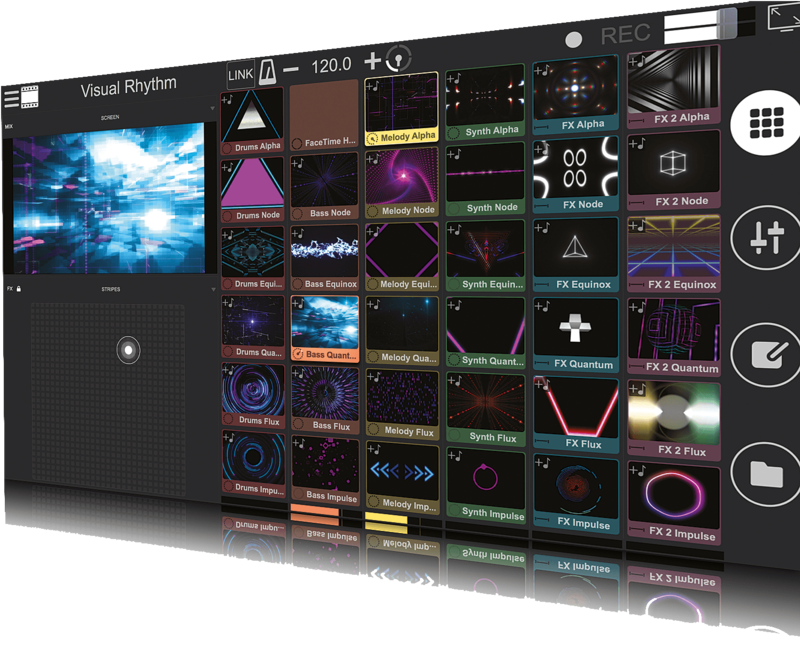 Another well-established VJ software name, Arkaos is pitched halfway between Remixvideo and Resolume in terms of complexity. I’ve used Arkaos for many live shows in the past, whether simply VJing or working synced to Live.